A husband-and-wife game studio living in Beijing, China. Nicolas The Coder loves music, football, cycling, and everything about video games. Vivian The Painter loves literature, history, cooking, planting, flowers...almost everything! And of course we both LOVE cats! Back to May 2013, after EA announced to close our Playfish Beijing studio, some of the lost fishes decided to go a long cycling journey, to Tibet. I was one of them. Most of us have none experience of cycling, bike fixing, nor first-aid. We exercised several times and then started the journey. It was hard yet wonderful all along the road. It's like every day my eyes were in heaven, while my physical body was in hell, but I can think about life all day long. Not before long the crew started to fall one by one: diarrhea, bruise on legs, and sprain in waist. We were weak against the distant goal, but I refused to admit it, until I fell down from my bike heavily and nearly fell down the 12,000-feet-high mountain. I got badly wounded, but I still wanted to carry on. Unfortunately the crew were giving up, leaving me and Jon (another guy from London, who was always supportive to me) no other choice but going home. Lying on the bed in the hostel, I felt so frustrated, but all the sudden, I realized that my journey could never end, if I chose another road that I always wanted to go: be an indie game developer. Then I went back home, turned off all the job offers and interviews, felt never so firm and strong. Because I'm on the road again. River of Time was a game idea that was born before the cycling journey. It reflects some of my philosophy, which was profound in Chinese traditional culture. I think the concept is quite original, as well as the gameplay, although some elements were borrowed from other games. It was finished in four months, but we haven't released it, since it is our very first and ideal game, and we still want to put something in. Then it comes the second game, DungeonUp. I chose this project because Tower of the Sorcerer is one of my favorites game since childhood, and I have already remade it in BASIC when I was 16 and in C when I was 19! This time I wanted to bring it much further, not just some remake. Another reason, to be honest, is I want to make my living on it. We wish the money could support us to finish River of Time and its sequence, in which we have really high hope. There are always too many things for me to learn besides programming: game design, game audio, storytelling, marketing... But the good thing is, I'm willing to do all the stuff! 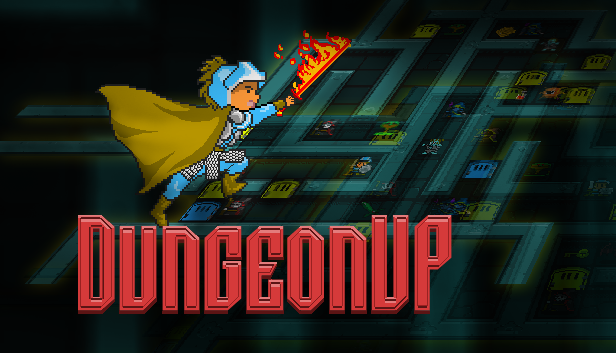 The sales of DungeonUp didn't meet the expectation, so we still have to use our saving for life expense. In January 2015 we moved to Xi'an, as Vivian got the oppotunity to study Chinese painting from a famous painter. The rent and life expense is also cheaper here. As the life in a new city begins, I started a new game project. 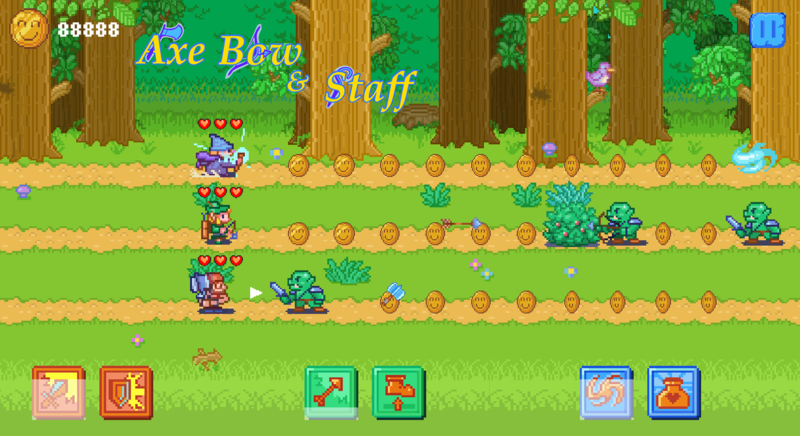 It's called "Axe Bow and Staff", the name is quite straight-forward. The gameplay is inspired by Trine but this time I want to do something innovative in gameplay, and I have to design all the levels, which means no "rogue-like" this time. Luckily I've been gained confidence in level design thanks to Ludum Dare compo! There are far more images available for Clewcat Games, but these are the ones we felt would be most useful to you. If you have specific requests, please do contact us! 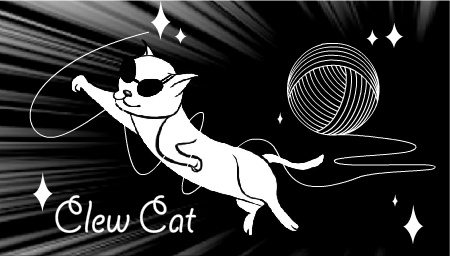 There are currently no logos or icons available for Clewcat Games. Check back later for more or contact us for specific requests! Play the game at: http://rot.clewcat.com.